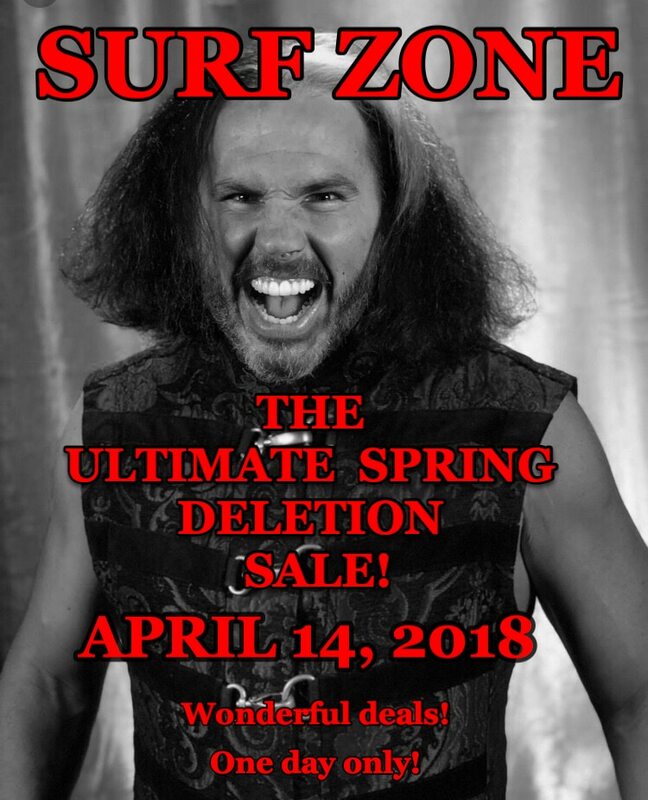 We’ve got a bunch of merchandise that must be DELETED, so we’re having the Ultimate Spring Deletion Sale! April 14, 2018. 8:00am- 6:00pm. 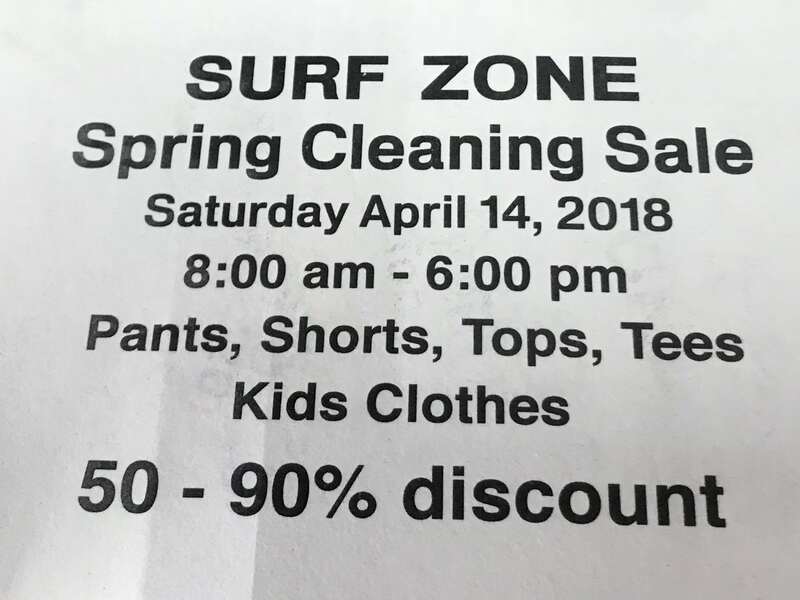 Pants, shorts, tops, tees, kids clothing. 50-90% discount. They must be DELETED! One day only!